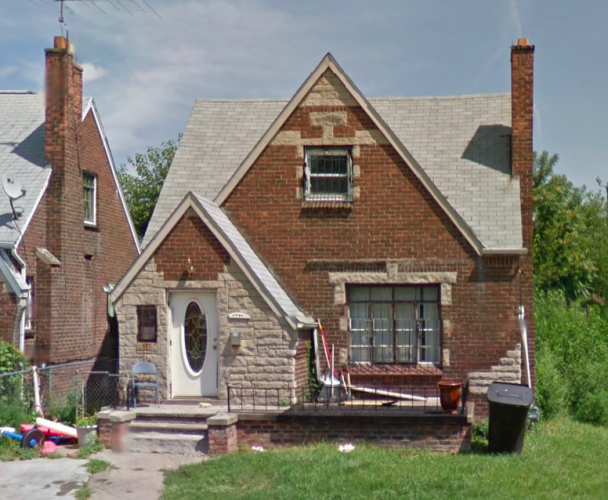 May 12th was the final day for the 31,000 Detroit property owners whose homes are in this year’s grotesquely large batch of tax foreclosures. Properties that fall behind on their taxes are taken over by Wayne County, to be sold in a mass online auction in the fall. The rationale for the foreclosure is to recoup money owed in taxes, but the result is a pitifully small yield that comes at a devastating cost. The county treasurer has extended this deadline once already* to accommodate the record foreclosures but such extensions only allows more time for those facing foreclosure to avail themselves of the existing payment plan options, they do not solve the systemic problems. The impact of these foreclosures could be likened to death by shrapnel fire– in aggregate, the thousands of tiny blows to individual houses have the power to cripple the city struggling to mightily to move forward. Tax foreclosure is such an important issue because it has implications all the top priorities in the city ­– population, blight, crime, transportation and infrastructure– are all stunted by the foreclosure pipeline. If this year’s tax foreclosures are carried out as expected, they will comprise the largest number of foreclosures in any municipality in history, a fact made even more shocking by the fact that these foreclosures are not being carried out by the stereotype of large heartless banks but are rather being perpetrated by local government. These foreclosures have the potential to permanently damage individual lives and permanently destroy houses, neighborhoods and communities, which is why local activists and academics are calling for a moratorium on tax foreclosure of occupied homes. The national media may be confused by the doom-and-gloom portrayal of Detroit’s ongoing foreclosure wand water crises– “didn’t Detroit just emerge from bankruptcy? Isn’t it on the upswing?” The sad truth is that Detroit’s bankruptcy addressed the city’s debts but did little to address the debts owed to the city by its own citizens. It could be argues that the city was bailed out by its own citizens in the form of deep pension cuts from retired city employees. Despite this, the city has extended no such forgiveness to its own debtors, and instead holds them to impossibly high standards with devastating consequences for failure to pay. Those who oppose a moratorium on tax foreclosure say that it would be unfair to those who do pay taxes to reward those who did not. This is logical on its surface, but it misses the larger point. At such a scale, tax foreclosure has the potential to devastate the city and diminish the quality of life for everyone, including taxpayers. While many of the properties facing foreclosure can be considered blighted, many are actively occupied homes. Based on statistics that show the correlation with foreclosure and blight, it is estimated that 3,000 of these currently inhabited properties will become blighted as a result of their foreclosure. The cost to the taxpayers of dealing with blighted properties is estimated at $12,000 just to tear it down, to say nothing of the costs of lost population, reduction in school population weakened communities, and the greater burden of maintaining infrastructure on those left behind. In fact, it would costs less to pay off the back taxes on a home than to foreclose on it and leave it to blight. Another reason for halting or suspending foreclosures on occupied homes is that the foreclosures are based on unsound rationale. Taxes are high in Detroit, like many large cities, they are exaggerated in Detroit because the already-high tax rates are applied to property values that are assessed much higher than actual value. For years the city services that these taxes are purported to pay for have been lacking, but the taxes were not reduced for those who had no streetlights, public transportation or garbage pick-up. The city has had a poor record of actually issuing tax notices so that people must navigate the convoluted pathways of city and county administration just to find out how much they owe. Once behind, owner are subject to exorbitant 18% interest rates, which still apply in most cases. All this to say that many foreclosures are based on debts that are at least partially invalid. The city and county could chose to absolve the debts, but a moratorium on tax foreclosure doesn’t have to be permanent. At minimum it could allow for more time for people to make use of the resources available to them- such as payment plans, federal Step Forward funds– and to do the time-consuming administrative work to ensure eligibility for such programs– such as dealing with probate issues, transferring the deed in the correct name and assigning homestead exemptions. More time could enable the city to carry out accurate property assessments that may potentially be applied retroactively. Federal funds that were allocated for foreclosure prevention could be returned to that original purpose instead of being diverted to blight removal as is currently being done. There are ways to carry out this process that ensures that people are held responsible without causing unnecessary damage. A moratorium on tax foreclosure for occupied homes is considered necessary because the impacts are final. Once blighted, a house can rarely be recovered; once broken, a neighborhood takes a long time to reconstruct; and once displaced, people are unlikely or unwilling to move back to the city that kicked them out. *The Wayne County Treasurer has, once again, extended the deadline from May 12 to June 8.